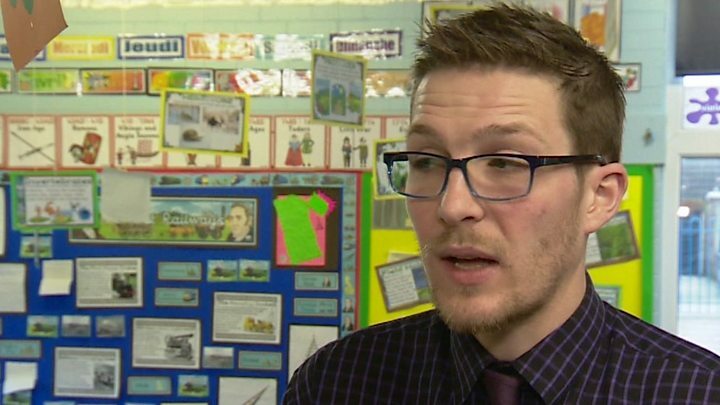 The government is failing to take adequate measures to tackle "significant teacher shortages" in England, a committee of MPs has said. And he suggested schools needed time to support staff development without constantly being "distracted by the demands of the latest Whitehall directive". Malcolm Trobe, leader of the ASCL head teachers' union said: "The crisis in teacher supply has a direct impact on the education that schools are able to provide to their pupils. "It means that important subjects like maths and science have to be covered by teachers who are not specialists in these subjects and that schools have to increasingly rely on supply staff." Dame Alison Peacock, chief executive of the Chartered College of Teaching said: "As well as bringing new talent into our profession, we must stretch every sinew to hang on to that talent and develop it further." Ministers have argued that they have kept teaching as an attractive profession in a competitive jobs market. There have been a series of high-profile advertising campaigns for teaching and there are financial incentives focused on attracting recruits into shortage subjects. Labour's shadow education secretary, Angela Rayner, said the government was "failing to deliver on its most basic of tasks". "Recruitment targets are being missed, school budgets are being cut for the first time in decades and we have thousands more unqualified teachers teaching in our schools." Liberal Democrat education spokesman John Pugh said the lack of pay rises for teachers had added to a sense that they were "undervalued". "It's high time the cap on public sector wages was lifted so teachers were given the pay rise they deserve," he said. A Department for Education spokesman said: "There are more teachers in England's schools than ever before, with secondary postgraduate recruitment at its highest since 2011. "We are investing more than £1.3bn in recruitment over this Parliament and have recruited more trainees in key subjects like physics and maths than last year."